Simon’s Soup Kitchen in Seaside Heights will continue to host Thanksgiving dinner this year, the organization announced this week. A traditional dinner of turkey, stuffing, and all the fixings, along with plenty of pies, will greet guests to Simon’s Soup Kitchen’s annual Thanksgiving Day dinner. This special dinner will take place on Thursday November 24th from 2:00pm to 3:00pm at the Parish Center of Our Lady of Perpetual Help Church on Grant Avenue, Seaside Heights. 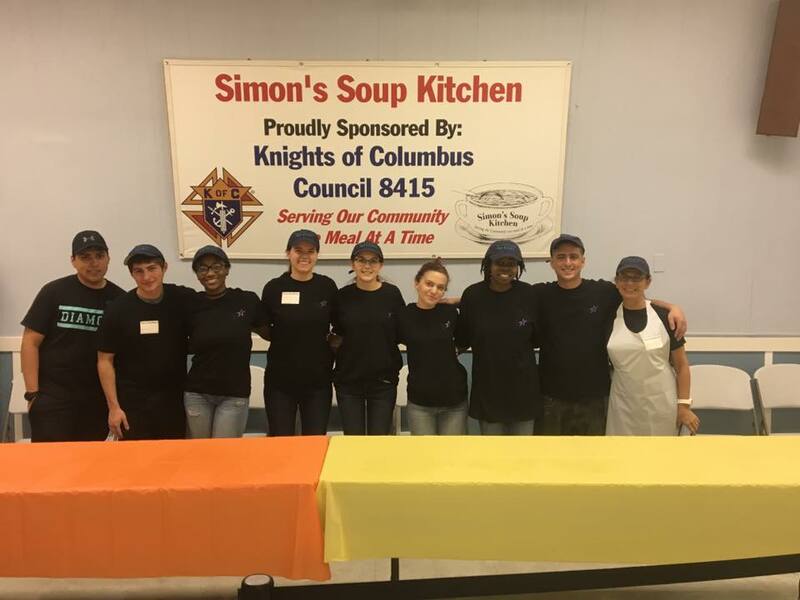 “This is an opportunity for those who regularly come to our soup kitchen, as well as anyone else who would like to join us, to enjoy the food and fellowship that are so much a part of Thanksgiving,” said John Salemi, Sr. Executive Director, Simon’s Soup Kitchen. This special feast will be prepared and served by a dedicated group of over 25 volunteers who lend their time on Thanksgiving and throughout the year. This special holiday dinner will be in addition to the normal serving schedule of operating every Tuesday and Friday evening from 5:30 to 6:30pm from October through April at Our Lady of Perpetual Help on Grant Avenue, Seaside Heights. Since the start of Simon’s Soup Kitchen over 75,000 meals have been served in addition to toys for children during the Christmas season. Everyone in need of a hot meal is welcome. For more information on Simon’s Soup Kitchen visit www.simonssoupkitchen.org or call 732-270-5941.